The first question that comes up to any startup planner is that, ‘how to secure money for my business?’ Well to be honest financial help does not come naturally and no one will help you find the right way until you seek for it. So the solution would be to find the proper guidance and path that can soothe your worries. Unless you want to burn your personal savings you need to track the appropriate answers. For startup entrepreneurs any wrong move can lead to failure. Thus it is required that you evaluate your business from all angles before you invest money. Here are the five easy and reliable ways to finance your startup project. 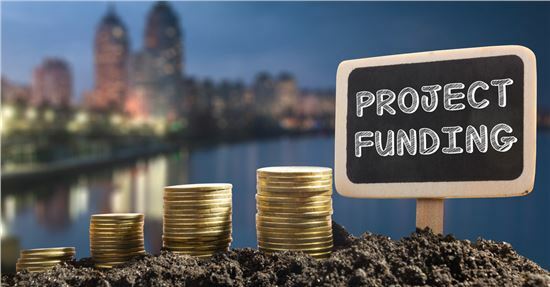 One of the basic and probably the popular ways of funding a startup is crowdfunding which is all about taking a loan, investment or contribution from more than one person. This is actually a great way because while you get investors through crowdfunding you can also understand the general interest of the market which in turn helps in marketing. You can learn about the demand of your product, financial strategies and get to know about consumer thoughts. But it has to be kept in mind that no matter how interesting this process may seem, there are still many ventures that go unfunded. If you think your business has a solid future prospect and has the capacity to draw consumer attraction then crowdfunding will work. The truth is crowdfunding is a very competitive way to finance. So grab an interesting idea if you want crowdfunding to work. A professional group of investors who are looking for profitable startups to invest are called venture capitalists. This is a very common method for financial support for many entrepreneurs considering availability of lot of money from more than one investors. But there are few drawbacks here too. They actually keep their eyes open for large business ideas with stable future. So if you are planning to start with zero level with no proficient team then you might not get help. Another important part is they sometimes may want to take control of a few financial decisions which means you have to be flexible. There is a reason the name angel investors has been given. People with eyes for new ideas and are willing to invest their money are known as angel investors. Their help really do come as an angel, but they tend to work in smaller operations comparing to venture capitalists. Angel investors actually want to increase their money with the profit of your business just like the venture capitalists, only they do not control over. But the real problem is to find them and they also can accept or reject your proposal. Bank comes to mind first when it is about funding your business. Yet without an excellent credit record bank is not a great option. So to reduce this obstacle small business loans have come to the scene earning trust from a long period of time. For the first time business owner small business loans are the best options. Other than this short term loans are also very beneficial. Even if you have poor credit score you can apply for short term loans online easily. Where bank seems a difficult choice for many business owners or entrepreneurs, micro-financial organizations are the best alternative provider. You can apply with just a few clicks of your mouse and can learn about the details of terms and conditions. It also takes less time in approval and with no extra charges. There are easy and flexible return schemes available according to your requirement. People who have excellent credit history can always use credit facility to raise fund for their business. Banks provide loans easily if you maintain good credit score without any flaws. Before you use your credit card make sure you know the future prospect of your startup. Talk to your bank and try to secure loans with flexible returning scheme. Credit card loans have of immense popularity as many startup owners rely up on them. When you see there is no other way then as a last resort dig into your retirement savings. Although this is a risky investment, it also involves no lengthy procedures or terms and conditions. The rolled over money may earn you your desired fund for your startup. But make sure you consider all your options before using this option. If your business fails you cannot stand up again as you have already burned your savings. But if you have some strong financial support that can stand in times of need then this saving can be used. Finally the choice is yours to make the decision and help your business shine.